Following on from the recent article published in January’s edition of the “New Scientist” magazine which highlighted a list of extinct or endangered animals that could ultimately be resurrected using genetics, it is worth making a point about whether bringing back long extinct animals might not be such a good idea. 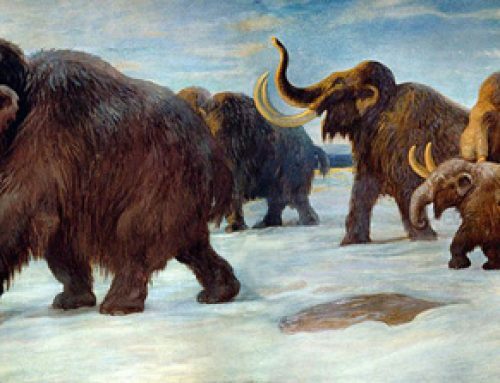 It might be possible to bring back from the dead exotic creatures such as the Woolly Mammoth, Woolly Rhino and the Sabre-Toothed Cat, but just how practical this would be is open for debate. Re-introducing these prehistoric mammals back into the wild would have serious implications for the fauna and flora of our modern world. Indeed, this is assuming that suitable habitats could be found, imagine going for a walk knowing that Sabre Tooth Cats have been seen recently in the area – not a very comforting thought. Enough controversy has been generated in the United Kingdom over the intended plans to widen the re-introduction of Beavers into Scotland. There have been a number of schemes in the UK in which, animals that once roamed freely have been re-introduced, Wild Boar into the New Forest for example. Some Wild Boar have been deliberately introduced; whilst others are escapees from the farming industry. Perhaps the most controversial schemes at the moment are those that concern the re-introduction of Wolves into parts of Scotland to help control the native population of Red Deer. If people get concerned over the possible implications of Wolves being re-introduced into areas they once roamed, it is unlikely that the introduction of Sabre-Toothed Cats and Woolly Rhinos would go unnoticed. It seems that if the technology does develop (and most scientists think it will), these newly re-created species would be restricted to safari parks and zoos. Perhaps it is best to leave the fossil record well alone. On a different note, we discovered that all the animals featured in the Everything Dinosaur, Ice Age Mammals set were listed in the top fifty prehistoric animals that could be resurrected. The set features a Woolly Mammoth, Woolly Rhino, a Sabre Toothed Cat, Megatherium and Glyptodon – the car sized ancient armadillo-like creatures. The Glyptodonts were not strictly Ice Age animals. They evolved in South America and when this island continent was joined with the rest of the Americas (falling sea levels), they successfully migrated and became established in the southern USA. The last of the Glyptodonts died out approximately 10,000 years ago, but their modern relatives the armadillos continue to thrive and are spreading ever northwards. Armadillos are extending their habitat further into North America, as these animals adapt to the colder winters at higher latitudes – an example of an animal adapting to a new environment to exploit new opportunities. The fossils of Glyptodonts were studied by Charles Darwin and Glyptodon was named and described officially by Sir Richard Owen in 1839, just two years before he coined the word “Dinosauria”. Glyptodon has been added to this set as it did go extinct at approximately the same geological time as the other prehistoric animals featured. It tends to be found in model sets featuring prehistoric animals, they certainly were bizarre creatures and Glyptodon models make an excellent edition to any collection of dinosaur and prehistoric animal models. Dinosaurs are archosaurs, a group that includes crocodiles, birds, and all the descendants of their most recent common ancestor.